Save Big with Multi-Packs! 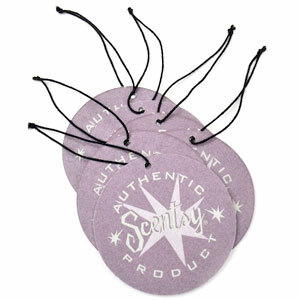 Different scents can be chosen for each Scentsy Multi-pack. When ordering, click "add to pack" when you have found the Scentsy bar/Scentsy product you want to add to your multi-pack. Look to the right of the screen to confirm that it has been added to your Multi-pack. 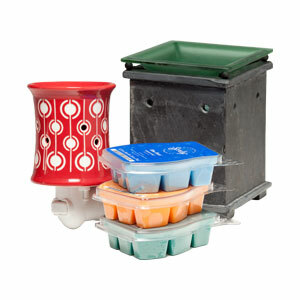 Scentsy Multi-packs are a great way to save money with Scentsy. Once you discover Scentsy you will want more! 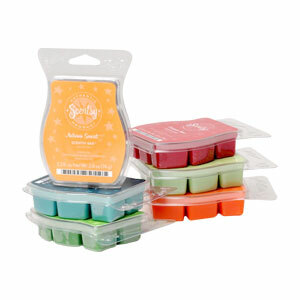 So Scentsy has created the multi-packs so you can buy more Scentsy and save money! Buying a Scentsy 6-pack is like buying 5 Scentsy Bars and getting one free! 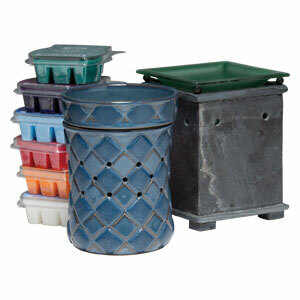 Buying a Scentsy Full-size or mid-size system is like buying the warmer and getting the bars for close to $3 each! 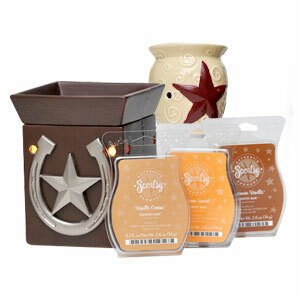 And, buying the Scentsy Sampler allows you to try all of the Scentsy products at a great price. 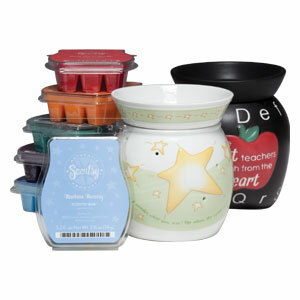 Stock up on Scentsy for yourself or for gifts for family and friends! Scentsy allows you to enjoy a candle experience safely. Using a decorative, ceramic warmer that plugs into an outlet rather than burning a flame makes Scentsy completely safe. Inside the Scentsy warmer there is a low-wattage light bulb that warms and melts the Scentsy bar while slowly releasing the scent. 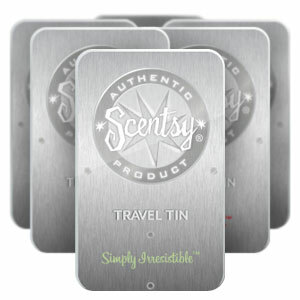 Each Scentsy bar lasts between 50-80 hours. With over 80 Scentsy scents to choose from you will be sure to find the one that is just right for you! Enjoy snuggling up on a cold winter night with an Autumn Sunset Scentsy Bar or feeling invigorated with the clean scent of ocean air with an Ocean or Beach Scentsy Bar. Once you try Scentsy you won't want to use anything else to scent your home!